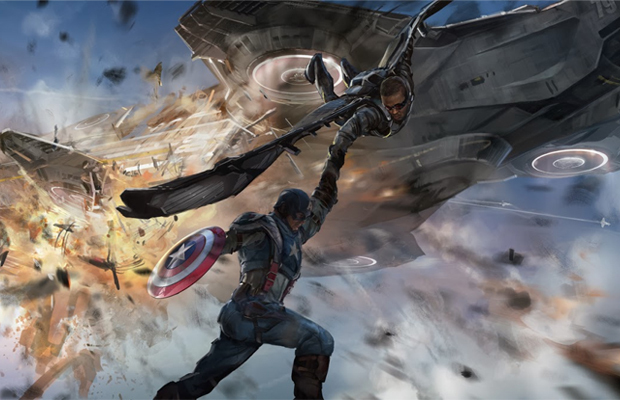 Marvel’s begun its preview screenings process for Captain America: The Winter Soldier a few weeks ahead of release, which means viewers across the globe are already jumping online and revealing the film’s plot details. For those curious about the end credits, Brainfreeze reveals details on not one, but two scenes that take place near the full conclusion of the film. You’ve been warned, spoiler alert up ahead. After the fall of both S.H.I.E.L.D. and H.Y.D.R.A. we see Baron Von Strucker (Thomas Kretschmann) in his underground laboratory. His men have the scepter that Loki got hold of, as well as two special prisoners – Quicksilver (Aaron Taylor-Johnson) and Scarlet Witch (Elizabeth Olsen). The super fast Quicksilver bounces from one side of his cell to another, while Scarlet Witch stacks with her blocks with her mental thoughts. Von Strucker proclaims that “The Age of Miracles” is near – effectively introducing mutants into this Marvel Cinematic Universe. Sebastian Stan’s Winter Soldier is dressed casually and visiting the Smithsonian’s Captain America museum. Here, he learns about James Buchanan “Bucky” Barnes and that Captain America was telling the truth while ominous music plays. Sound dope? Sorta. Captain America: The Winter Soldier hits theaters April 4th.